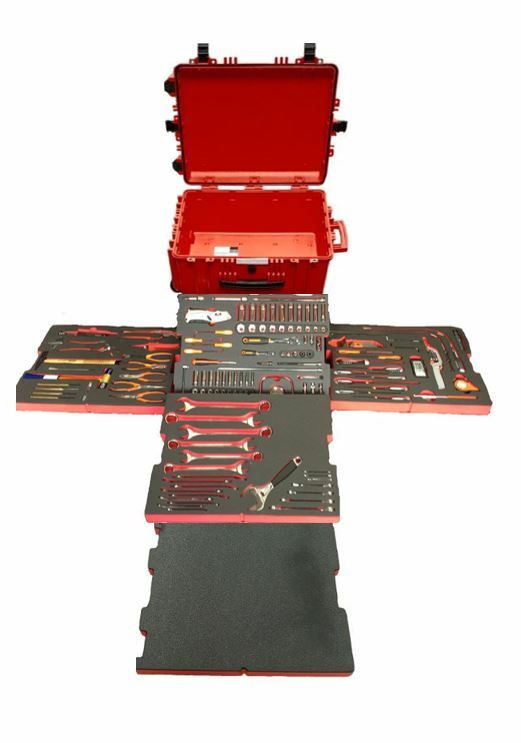 A selection of 161 BAHCO tools, with a lifetime guarantee, fitted into a wheeled, synthetic resin, watertight, impact-resistant case with pressure equalizing valve. The tools are embedded into two-colour, Skydrol resistant foam, offering a heightened level of tool control. 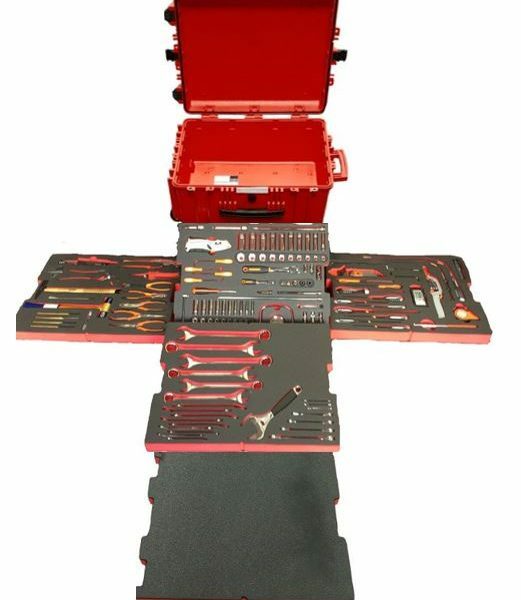 This kit includes an extra spare foam layer in a larger case. This can be used to add extra tools to your kit if you wish.